There should be no debate on who is Nigeria's best goalkeeper presently as far as former Super Eagles striker, Jonathan Akpoborie is concerned. Akpoborie, quite famous for his hard stance on issues, says Vincent Enyeama is 100 miles ahead of his peers; hence the debate on whether he should be recalled to the national team is needless. It is understood that Super Eagles technical adviser, Genort Rohr is open to having Enyeama back in the national team but the NFF is reportedly kicking against it. Akpoborie in a series of tweets on Wednesday queried the NFF's interference in players' matters as he noted that often than not, only the coaches bear the brunt when wrong selections backfire. "The Super Eagles coach should have FULL CONTROL when it comes to picking the team," Akpoborie canvassed. "Nff, they always want to pick the players, but when these players fumble, they sack the coach. Why don't they sack themselves? 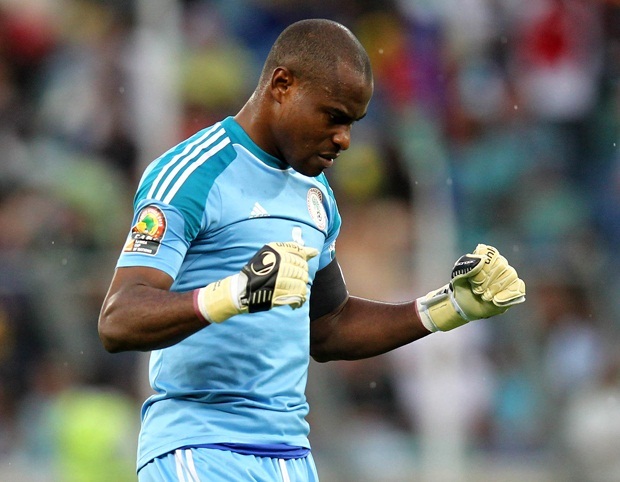 Do you think Enyeama should be recalled to the Super Eagles?